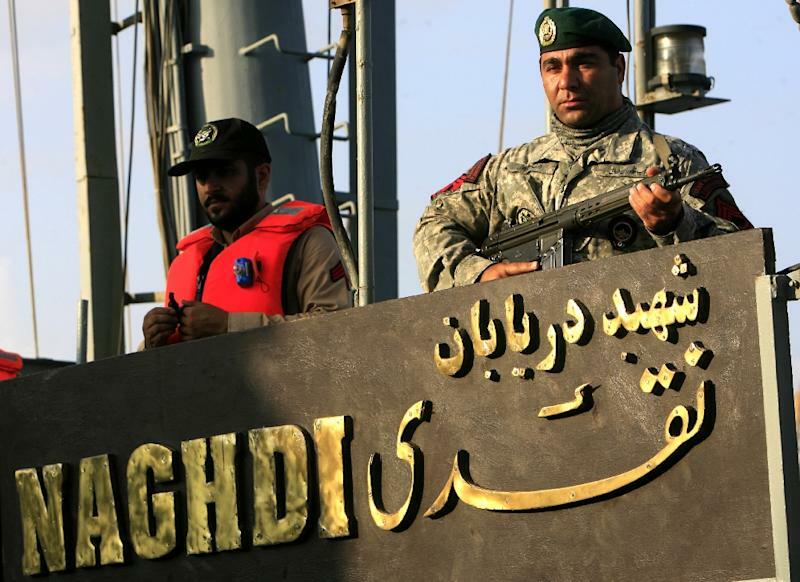 Tehran (AFP) - Two Iranian destroyers, sent to the Gulf of Aden to protect commercial ships, have reached the entrance of Bab el-Mandab, a strategic strait between Yemen and Djibouti, Iran's navy said Thursday. In another sign of tensions between Gulf rivals Iran and Saudi Arabia, meanwhile, the Saudi charge d'affaires was summoned to the foreign ministry in Tehran to hear a "strong protest" over Saudi military action which prevented an Iranian plane from landing in Sanaa. "We are present in the Gulf of Aden in accordance with international regulations to ensure the safety of commercial ships of our country against the threat of pirates," said the head of the Iranian navy, Rear Admiral Habibollah Sayari, quoted by the official IRNA news agency. "The information that the Iranian ships received warnings and left the area is not correct," Sayari said, insisting that Iran will not enter "the territorial waters of other countries" in reference to Yemen. In Tehran, the top Saudi diplomat posted in Iran was summoned Thursday to the foreign ministry which "strongly protested" over an incident in which Saudi warplanes bombed Sanaa airport runway to prevent an Iranian plane from landing. Tuesday's action "endangering the lives of the crew and members of the Iranian Red Crescent, who brought medical aid to Yemenis and wanted to transfer the wounded, is unacceptable," said a senior Iranian diplomat, quoted by IRNA. It was the fourth time in a month the Saudi charge d'affaires was summoned.